The conference will focus on active learning strategies across the Faculties at Western. 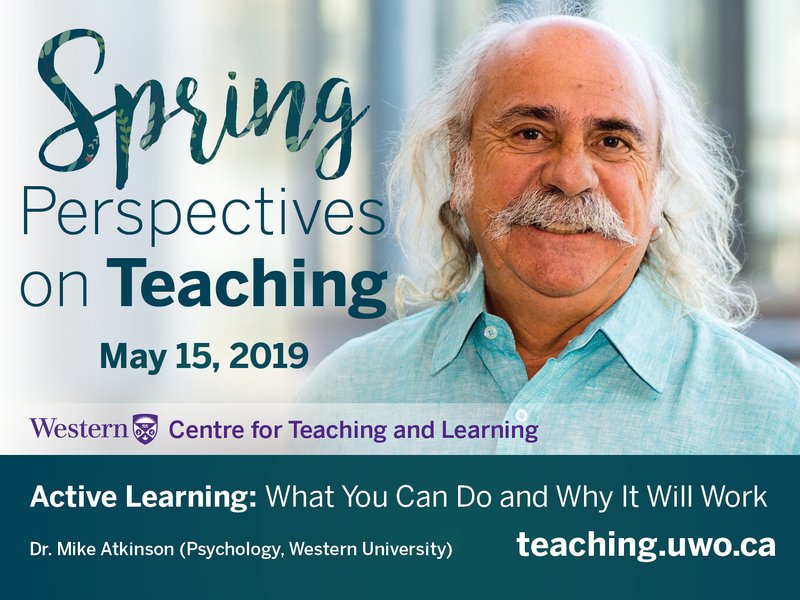 Dr. Mike Atkinson (Psychology, Western University) will examine the research on the cognitive, emotional, and physiological changes that accompany active learning and suggest a variety of strategies that you can use to engage students in the classroom. Concurrent Sessions: Western faculty will present and demonstrate active learning activities in their disciplines.